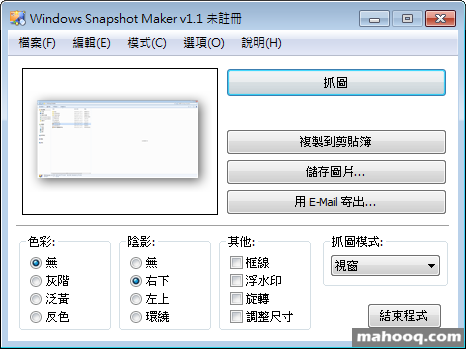 WinSnap Portable is a fast user-friendly utility for taking and editing screenshots. It easily captures windows of non-rectangular form with transparent backgrounds including Aero Glass and instantly enhances screenshots with professional-looking shadows, reflections, highlights, outlines, watermarks and color effects. Moreover, it allows you to quickly edit and annotate screenshots afterwards.